"Risible", "nihilistic" and "jihadist". Not the sort of language one would expect government ministers to use about the National Trust. And yet this is the invective that’s been generated by the Trust’s ongoing Planning for People campaign to oppose the coalition Government’s proposed revision of planning laws. 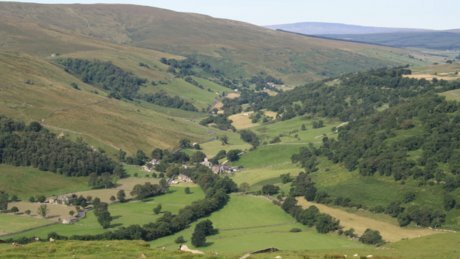 According to the National Trust, the draft National Planning Policy Framework, published in July, threatens to put short-term economic gain ahead of all other considerations, including the impact on local communities and local green spaces. The Trust is calling on the Government to rethink its planning reforms so that the planning system balances future prosperity with the needs of people and places. “This is the first time since the 1930s and 40s that the National Trust has been so vocal in opposing government policy,” says Andrew McLaughlin, assistant director of communications at the Trust. The campaign’s strategy started with policy – the facts of the issue. “We brought in external help to create the strategy covering three work streams – public engagement, policy and stakeholder engagement, and agreed joint milestones to work towards,” says McLaughlin. Creating the first press release was “tricky”, he admits: getting both the policy details and messaging correct. But time spent at the start on agreeing messaging hierarchy paid off, so that as the campaign progressed the team could respond quickly to developments without having a tortuous press release sign-off process. The campaign has so far generated an unprecedented media profile: “a week’s worth of front pages”, according to McLaughlin. Just under a quarter of a million people have signed a petition opposing the reforms, and the Trust has received public assurance from prime minister David Cameron that the planning reforms will serve the public interest by balancing social and environmental benefits with those of the economy. Strong leadership on the campaign from the Trust’s director general Fiona Reynolds has been a central driver in achieving its success to date, says McLaughlin. “The other key things have been being clear on our objectives, setting agreed milestones and working together,” he adds.